RADIO EROS AND RUINS - mudd up! 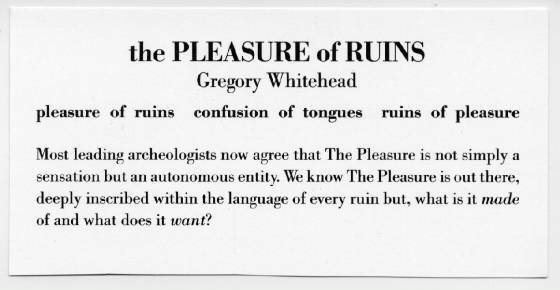 Gregory Whitehead’s work may well be my favorite thing that this blog has tuned me in to. 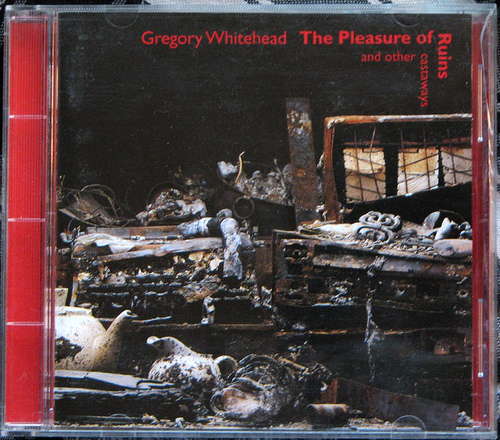 I won’t say introduced, because I’m pretty sure I once heard Mr. Whitehead’s work randomly on college radio when I was pretty young (like 13), and it completely fucked my head in every way a radio can, justifiably. Jace- Are you familiar with GDeleuze/FGuattari’s ‘becoming- radio’ in ‘a thousand plateaus? well, in my case i will say this blog did introduce me to whitehead’s work. and, yes, it completely fucked with my brain. this is incredible. thanks, jace. yes, vero, seems that /R is coming to town (bcn). jace, you planning on doing a cumbia set?